Nearly every single look in FRAME's Spring '19 collection was cinched at the waist with ties or a belt just like this one. 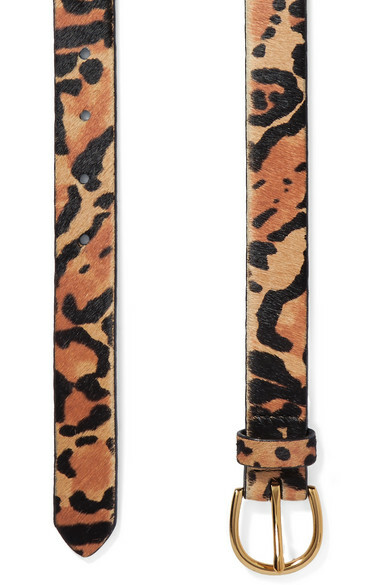 Made from tactile leopard-print calf hair, it features polished gold-tone hardware and is backed in smooth leather so it will slip easily through the loops of your jeans. 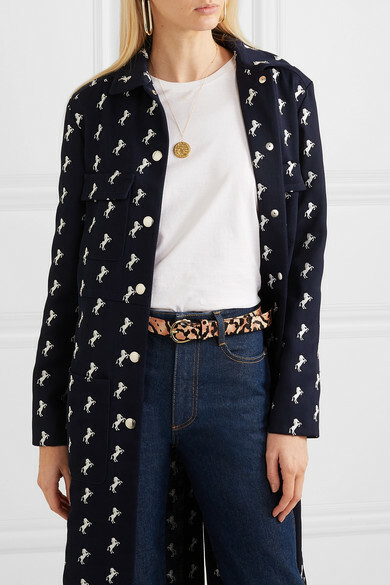 Shown here with: Chloé Coat, SIMON MILLER Jeans, rag & bone T-shirt, Jennifer Fisher Earrings, Alighieri Necklace.